If you wish to copy a bunch of tasks from one project to another, you can do this by following the steps below. Select all of the tasks you wish to move to another project. 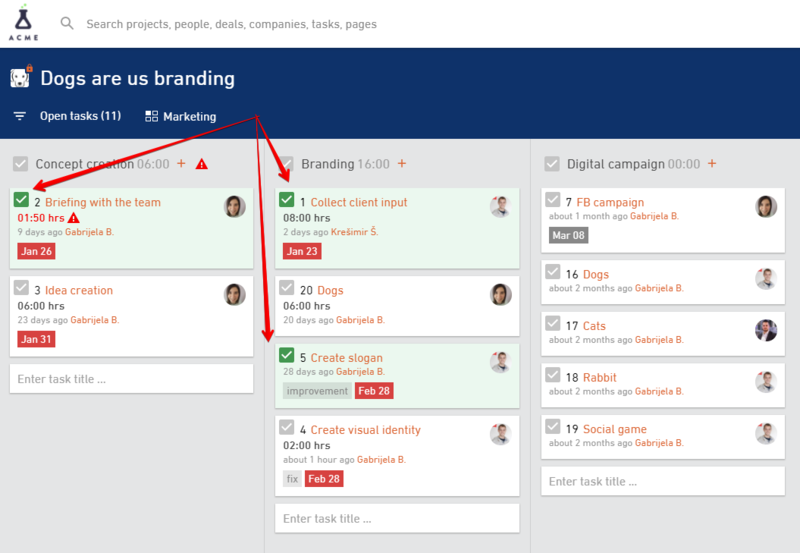 A new menu will appear below, which allows you to close a couple of tasks at once, add tags and more. Click on the three dots on the right side of this menu, and choose Move tasks to project. Select the project and board/list to which you want the selected tasks to be moved.